We gave a lecture and presented three posters at the 47th International Symposium on High Performance Liquid Phase Separations and Related Techniques in Washington D.C. 2018. We gave a keynote lecture and presented three posters at the 31st International Symposium on Preparative and Process Chromatography in Baltimore 2018. On the 30th of November 2017 our research group, together with researchers from several companies and universities, had a most successful kick-off day at Karlstad University for our new KK-Synergy project. The aim of this project is to develop state-of-the-art quality control methods for biological pharmaceuticals, i.e., proteins or similar molecules, which mimics molecules in the body and are injected in the body to stimulate the immune system. 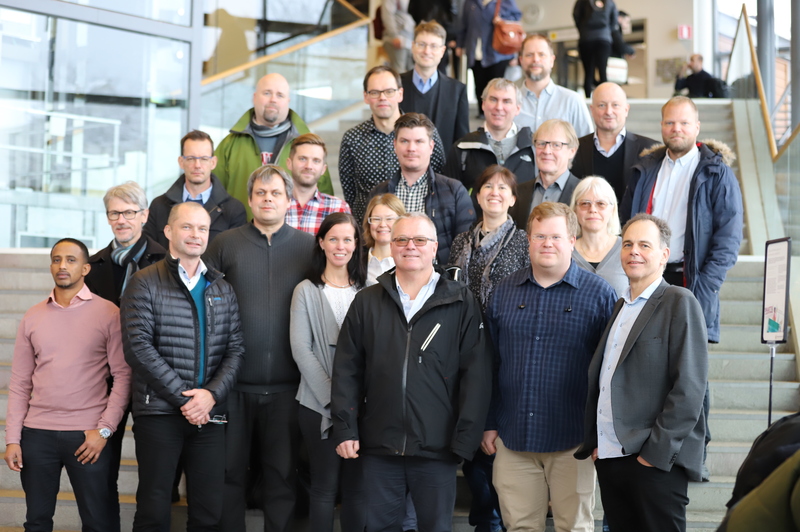 The project has a budget of approximately €2 million and four companies and three academic institutions participate: Attana AB, AstraZeneca, Akzo Nobel Pulp and Performance Chemicals AB, Ridgeview Instruments AB, Karlstad University, Linné University and Örebro University. The picture below shows the kick-off day participants. We gave at keynote lecture at the ITP/NoSSS 2015 symposium in Helsinki.